Of course, separatism is not the problem one; it only is a problem more. The big problem is the lack of Spaniards, it seems that there are no people capable of rising up and change this system that led us to the limit of all corruptions, and it still continues creating new wicked plans. Bourgeoisie, this social class that arose in Spain with the liberal capitalism of 19th century, brought speedily the trends of his time and since then, we suffer them with growing severity. By one hand there are separatists of many regions that deny Spain and they declare themselves like independents after a “pretty tale” that in really are manipulations and inventions; by other hand there are centralists, which declare the existence of a Spain likewise manipulated that deny the essence of the same Spain. Strange? Not. This is Spain. All capitalist join themselves for hang out the logo of their business. But, we are going to see closer the case that today we have at the present time. In the Autonomous Community of Catalonia, has been performed the third elections in a period of 5 years, if we take in count that each legislature lasts until 4 years, we have that the same autonomic government used more or less the half of its time and called again to elections, and that government is headed by Artur Mas. If you ask yourselves: Why so many elections? The answer is simple: With the economic crisis this autonomic government has hung out the flag of independentism like substitute to the creation of public policies in the context of profound crisis that exists from 2008. The Catalonian autonomic government closed schools, hospitals, reduced other social services and benefits; meanwhile it never was lacking money for performing campaigns pro-independentism in Catalonia and also in other autonomous communities like Valencia and Baleares (which are also reclaimed by separatists of Catalonia). It was proved that, these politicians were not fools and they exercised polity without knowing how make public policies, in reality they are parasites that use public institutions for their business. Speaking about business, from 2014 it was famous the former president of Catalonian Autonomous Community –Jordi Pujol, from CiU, like Artur Mas– because of he had money without declaring in tax haven, moreover, other cases went into light from other members of the same party that they don’t know if put their money, gained from polity, in Andorra or Swiss, but they never dude in saying that: “Spain steal us”. And, what made the central government on it? Nothing serious, only threats of economical type. In that Spain is reduced for all of these politicians: Their particular business or their collective business. Since liberals of 19th century, the history has been the same, all kings and governments have delivered the efforts of inner Spain, to the cores of bourgeoisie in coastal regions; Leon, Castilla, Aragon, Extemadura, were sacrificed in order that existed textile industries in Catalonia and Steel industry on Basque Country, among others. 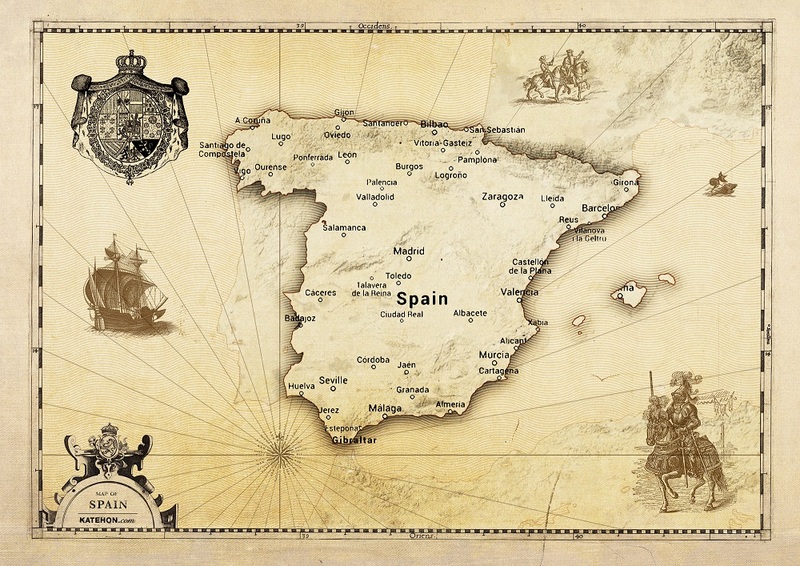 Now there are political parties in these regions which claim against Spain after they were graceful for all governments whereas offences were carried out in inner Spain. So, the Sunday 27, were performed a new elections, with a renovated offer of political parties, in the main; where parties like PP and PSOE showed that their electoral force are not in Catalonia, in spite of they are the two big parties in Spain, their discourse like majority parties seems totally spent. The candidature of “Junts pel Si” (“Joined by Yes”), in spite of joining two big parties in Catalonia like CiU and ERC, in addition of some associations) didn’t gained the majority that they waited, and now they only can agree to CUP, a Catalonian separatist party, communist, headed by non-Catalonians. Together with these, we find the brand of “Podemos”, that is: “Catalunya si que es pot” (“Catalonia yes can”), by its political ambiguity they didn’t “conquer the heaven”, they wanted to create a different way between independentism / non-independentism, called, “right to choose”. And finally, Ciudadanos (“Citizens”) appeared like the growing and most important constitutionalist force in Catalonia, but making the same of the rest of parties: They don’t care in attacking inequality affirmed in Spain by the system of autonomies. All of this parties coincide in this board, in speaking about Spain like some territories with own identity and others which are Spain without more. Leon, Castilla, Aragon or Extremadura are territories without own identity and without history? Henceforth, the political show will continue, because must continue, perhaps it will be another referendum; due to the results, which has been a majority of votes to non-indepentist parties, but the majority of seats went to independentist forces. How we have seen in history, these parties are economic forces that use all they can to consolidate themselves in power and legalize their actions. They don’t care about peoples and cultures, they care about the business they can make. But this is not the most important disgrace in all Spain, but our disgrace is that people either are in this unfortunate business, or they don’t pay attention in polity. Now, it doesn’t seem that there are some possibility for an alternative against all this system of corruption and inequalities. No. Spain sleeps or is absent.